Microsoft Outlook is widely used email client and Outlook profile is made up with multiple email accounts. It has been seen that user prefers to configure multiple profiles in their Microsoft Outlook account. This article assumes that you are using multiple profiles and getting confuse in multiple profiles and explains how to turn on 'Prompt for a profile to be used'. option. 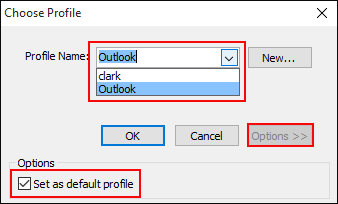 After enabling this option, when you start Outlook, a dialog box will ask you to which profile you want to use. 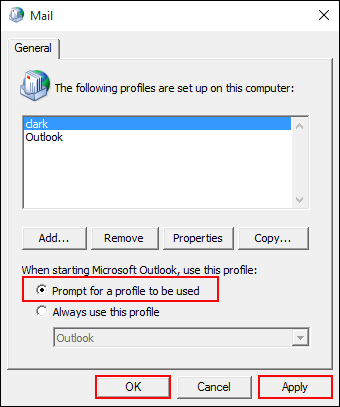 Article uses step by step procedures which describe how to enable and disable Outlook profile prompt. 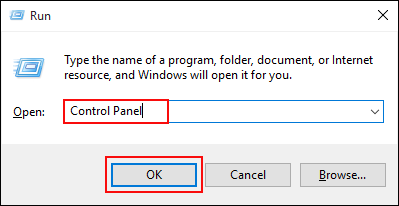 Open the Run Windows and type "Control Panel" and click on "OK" button. A new Windows of Mail Setup-Outlook will appear, click on "Show Profiles…" button. Click the "Show Profiles" tab, a new window will appear. You need to "Prompt for a profile to be used " and click on "Apply". then "OK." button. 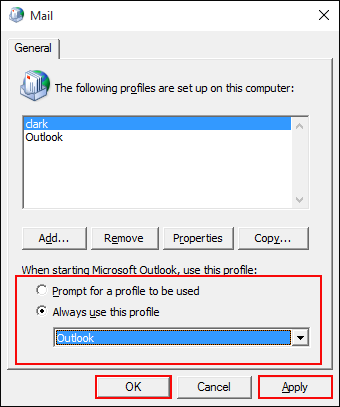 After doing these all types of changes you need to open Outlook and a choose profile Windows will appear. Here you can choose profile according to your choice it and click on "OK." to proceed. In "Choose Profile" dialog box. Select the profile that you want to set it default and click on "Options" tab and click on ok button. 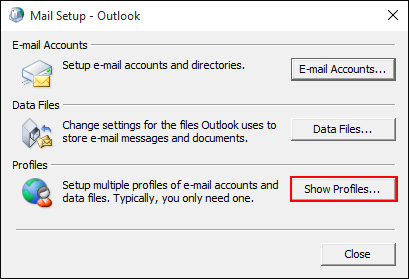 Note:The above steps are valid only if you have multiple accounts configured in different MS Outlook mail profiles. Firstly open Run Windows >> type "Control Panel" and click on "OK" button. Go through "Mail" >>"Show Profiles" >> Deselect the "Prompt for a profile to be used" option. 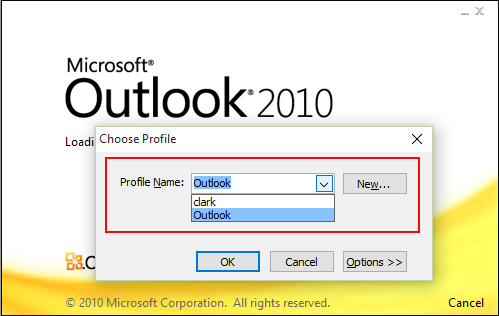 Select the "Apply" tab and click on Ok button to disable Outlook profile prompt.